The PSL hangover had barely ended when the five-match ODI series between Pakistan and Australia began in the UAE, and most Pakistan fans who tuned in will try to put it out of their minds as soon as they possibly can, given their side failed to win a single match. Most of the games were repetitive, somewhat tedious affairs with the outcome obvious long before the winning shot had been hit, or the final wicket taken. Pakistan's batting coach , however, is emphatically not one of those people. The ODI series against Zimbabwe last year aside, this was the that Pakistan's batsmen hit five centuries in a five-match series. Further, all of the hundreds scored by players who wouldn't necessarily be listed for a spot in Pakistan's first-choice side. marked his recovery from a second bout of the career-threatening knee injury that kept him out of the tour of South Africa with two hundreds against Australia. 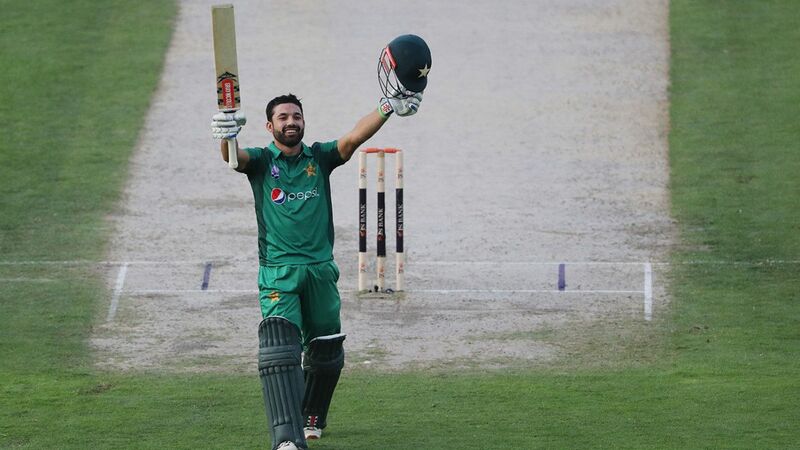 , who until recently hadn't played an international match for a full two years also struck a pair of hundreds, while debutant recorded the highest score by a Pakistan batsman on ODI debut when his 112 took the home side within a whisker of winning . Flower found Rizwan's form particularly encouraging and told ESPNcricinfo he was convinced the 26-year-old could play as a specialist batsman, also lauding him as "one of the best fielders we have". "It was always going to be difficult to beat Australia given how many players we were resting, so in that sense the series result appears worse than it perhaps is," Flower said. "Rizwan's been playing well, but he looked more in charge of his own mind this time. Less frenetic and paced his innings better. He's good enough to bat in the top four, but I also think he's versatile enough to play lower down. He doesn't have the power-hitting, but he can still find the boundaries and the odd six and do a job. His running between the wickets is among the best of our players." Flower was full of praise for Haris, Pakistan's leading run-scorer of the series, and the other batsman to reach three figures twice in the series. Haris looked back to his flowing best, bringing back memories of 2014 when he had first burst onto the international arena. That was before a recurring knee injury kept him out of the game for nearly three years, one that flared up again as recently as Pakistan's tour of South Africa in December last year. Flower also said there was a good chance his injuries were now firmly in the past. "Haris is a class player and he showed that. His knee's getting stronger now, and he's working a lot harder at his fitness. He'll be the first to admit he didn't put in the hard yards quite as much earlier in his career, but he's seeing the benefits of the work he's putting in now. "Abid's century was of course brilliant to see. I wasn't expecting it, since we hadn't done much work with him before the series. I'd been told how good he was, but to see him timing the ball as beautifully as he did was very encouraging. Front foot, back foot, offside, legside, you name it. The Australians were very impressed by him. Just that his fitness [issue] showed at the end, otherwise I'm sure he would have won the match for us." The team's fitness standards during the series against Australia were a recurring theme in Mickey Arthur's press conference back home after the series. Flower confirmed some of the players hadn't passed the yo-yo test during the series, which would be a mandatory selection requirement for the squad that was chosen for the World Cup. "There was a fitness test done at Sharjah cricket ground where everyone was tested. Some of the guys didn't pass that test; Abid was one of them. But that was simply a wake-up call as to what was required. Everyone was told they would have to measure up to the minimum 17:4 in the yo-yo test if they are to go to the World Cup. Because we were trying our bench players and some guys who hadn't ever played with the national team, it wasn't a barrier to taking part in the Australia series, but it will be for the World Cup." With the pressure to perform at the World Cup felt as strongly by the backroom staff as the players, Flower said he was encouraged by the progress Pakistan's batsmen had made and excited by the players coming through. The Zimbabwean has been with the side for nearly five years - longer, by far, than any other member of the coaching staff - and said he would like to continue working with Pakistan after the tournament. "I really enjoy the players. I think they enjoy working with me; they know I'm honest," said Flower. "When I speak with them, I'm not going behind their backs, I tell them how it is. I see them improving, and you'll see the averages bear that out. But the World Cup's the priority for now. It's a very open tournament, so we'll see how that goes for now. I've been here five years and it's been a good ride."